Osteoporosis Diagnosis from Your Dentist? We know it sounds weird, but your dentist may be the first person in your medical team to suspect and diagnose osteoporosis. At my dental office in Douglasville, we take your health seriously, and not just your oral health. Which is why we not only want to educate patients on the risks and signs of osteoporosis, but also how we can help diagnose it. Osteoporosis is a bone disorder that reduces bone density and causes them to weaken. While it typically affects women who are 50 or older, osteoporosis can happen to anyone. Currently, 10 million Americans suffer from osteoporosis and another 34 million are at risk for developing it. When your bone density weakens, your body becomes much more susceptible to serious, life-threatening bone breaks. Some of the signs of osteoporosis may go unnoticed for a while, and many individuals don’t realize they have a problem until the osteoporosis causes a serious break or fracture. However, many signs of osteoporosis show up first in the mouth, since it’s the only part of your body that is x-rayed so regularly! The earlier osteoporosis is caught, the earlier treatment can begin and the risk for serious injury decreases. Keeping up with regularly scheduled appointments at my Douglasville dental office is important not only for your oral health, but for your whole body’s health too. At every visit, we’ll monitor your mouth for any signs of osteoporosis. If we suspect osteoporosis, we’ll work with you to find the best treatment. Serving patients from Douglasville, Lithia Springs, and Villa Rica. 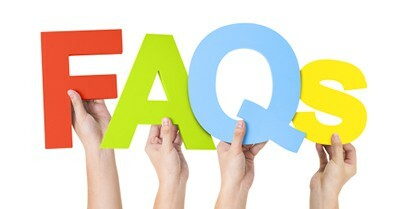 At my dental office in Douglasville, we get asked a lot of questions. And that’s ok. We know we sometimes use dentist speak, but we’re always happy to clarify and help make dentistry easier to understand. In this blog, we wanted to take some of the most frequent dental questions and answer them once and for all. The short answer is yes. Biannual visits are essential. However, we may encourage some patients to come in more often. If you’re at increased risk for gum disease or oral cancer, or if you have several treatments planned, visiting a dentist more than twice a year is normal. If your checkups are problem free, we’ll ask you to come back in about six months. Regular appointments are important for thorough cleaning and early detection. With early detection, you may avoid larger, more invasive, costly procedures in the future. Both brushing and flossing are crucial to a healthy mouth, yet about half of all Americans fail to floss on a regular basis. Without flossing, 35% of your tooth surfaces are not being cleaned. This allows bacteria to linger, food particles to fester, and decay to develop. Our best recommendation is to brush twice a day and floss once a day, at the minimum. Brushing and flossing are only part of keeping decay and cavities away. If you have a diet that’s high in acidic foods or beverages, if you use tobacco, or if you are hard on your teeth, either by clenching, grinding, or crunching hard things, you’re automatically at increased risk for cavities. Acid eats away at enamel, and without enamel, teeth are left exposed to dangerous bacteria. Grinding and crunching alike may lead to tiny chips and cracks which are perfect places for bacteria to hide and create a cavity. Dental x-rays allow us to see below the naturally visible surfaces of teeth. This helps identify potential problems early, before they become big problems. We can look at decay, bone infections, gum disease, and baby teeth patterns all by using x-rays. If it’s been a while since you’ve seen a dentist, or if you ever have a question, just ask! We’ll be happy to help. Everyone at my Douglasville dental office isn’t only here to give you the care you need, we’re here to work with you to make sure all your questions are answered and you’re always comfortable.